A recent editorial in this journal calls for more philosophical work in the areas of philosophy of medical science and research methodology . The purpose of the present paper is to bring to light and discuss some obstacles and opportunities for development in these areas. In section I, barriers to increased philosophical work in medicine outside ethics are discussed. 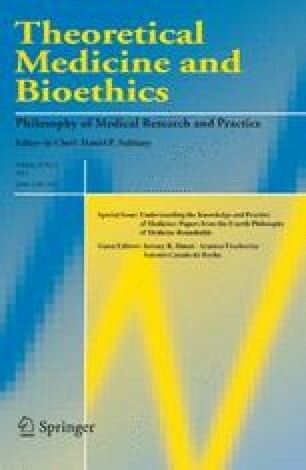 In sections II and III, additional areas in medicine ripe for philosophical work are identified and discussed: (a) improving the epistemic fitness of much current clinical reasoning, (b) defining the conditions under which greater epistemic fitness can be achieved, and (c) technology assessment.